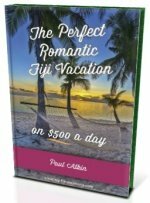 Want to find out about the modern day Fiji islanders or rather indigenous Fijians? Explore how they live and what their life is like today. For this article, we'll refer to them as Fijians. Fijians are the major indigenous people of the Fiji Islands (Fiji). They are indigenous to all parts of Fiji except Rotuma. 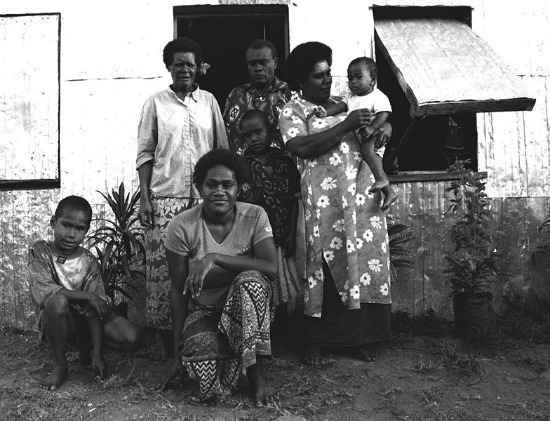 83% of land is owned by Fijians. The law, established in 1876, was setup to prohibit non-ethnic Fijians owning land. This law is still current today, and is part of the racial tensions between the Indo-Fijians and the Indigenous-Fijians. Historically, Fijians were expert canoe builders and used it to trade with Tonga. Today, around 70% of Fijians are farmers (a fair proportion subsistence farmers), many of which grow crops such as sugar cane, sweet potatoes, cassava, bananas, and rice. 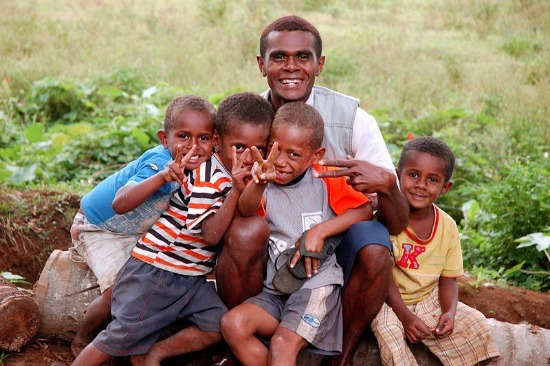 Fijian society is very communal, with great importance attached to the family unit, the village, and the land. It's interesting to note, that the village chief's position is hereditary, which follows Polynesian culture rather than Melanesian culture where the chief is appointed. Also, traditionally, each Fijian in a village is born into a certain role in the family unit (Tokatoka). Each village will comprise of several family units. A village will then belong to a clan (Mataqali). A clan will belong to a larger tribe (Yavusa). Then, several Yavusa will belong to a certain area of land (Vanua). "The living soul or human manifestation of the physical environment which the members have since claimed to belong to them and to which they also belong. The land is the physical or geographical entity of the people, upon which their survival...as a group depends. Land is thus an extension of the self. Likewise the people are an extension of the land. Land becomes lifeless and useless without the people, and likewise the people are helpless and insecure without land to thrive upon." Matanitu is then a confederation of Vanua. The structure is quite intricate and goes much deeper, and I haven't even gone into who and how people fit into what positions. This is but a very basic summary. The Great Council of Chiefs (Bose Levu Vakaturaga) is* one of Fiji's most powerful institutions. It was founded in 1876 by the colonialists. It's composed of 55 indigenous-Fijian chiefs, most chiefs are heredity, from 14 provinces. The council is charged with the safeguarding of Fiji's political system and they meet yearly to discuss important indigenous concerns. It has authority over any legislation of common rights and land ownership. The council appoints presidents, who then appoints judges. * After Commodore Frank Bainimarama seized power, he suspended the Council due to disagreements in 2007.